You can choose mirror 1 and mirror 2 for web download and also we do have torrent download just hit the button in our link. Mirror 1 button is powered by Megasync, if your download stops, you just need to sign up an account to megasync to continue your download. 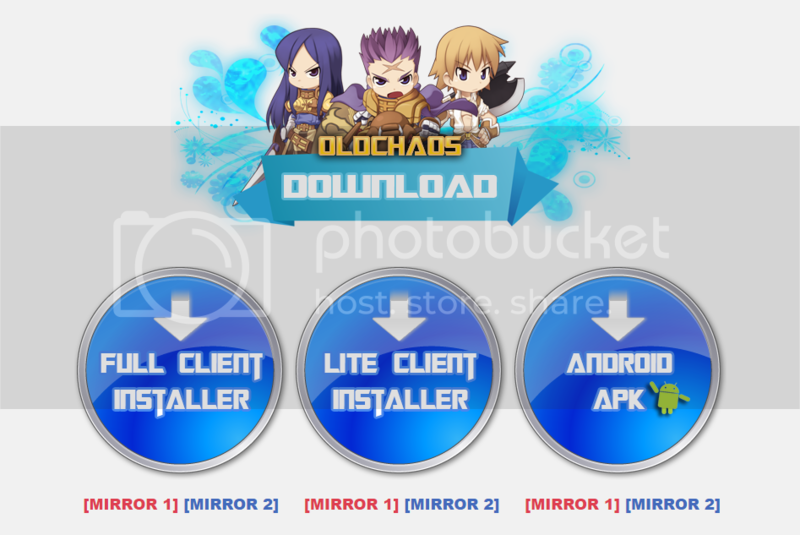 Mirror 2 (Recommended for Web Download) button is powered by Mediafire, there is no need here to sign up an account to complete your download. This only works if you have Torrent applications. After you have fully patched the RO you can click the start button and log on to Old Chaos Ragnarok Online! After you have extracted our lite installer, you can copy your data.grf with the size of 1.6gb or 1.8gb and paste it inside our extracted lite installer. Ayaw po tlaga ma download kahit close ko firewall. After ko download sa website hindi ko sa ma download from download history. Nasa california po pala ako. Does it matter ba?